Localizations are translations. They can be official and unofficial. You can add your own translations too, and now there are more tools that will make the process a lot easier. 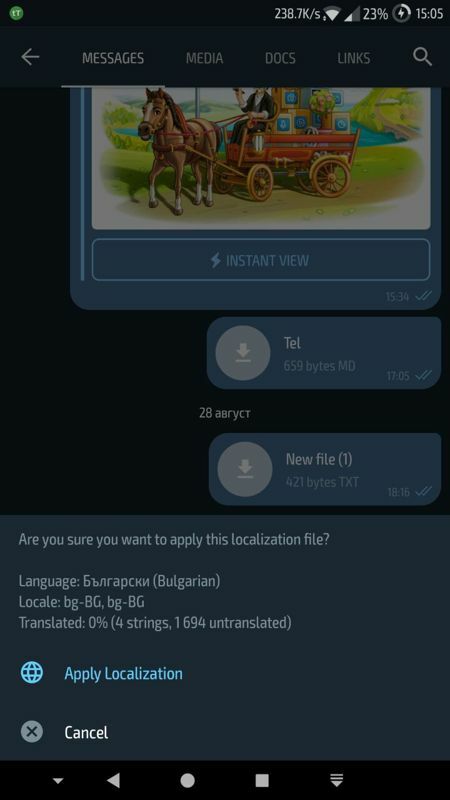 You can get some tips about this feature from the Telegram X Localizations channel, or about translations from our previous post named Translating Telegram Beta for Android, where we also mentioned how you can contribute, or become a translation team member. 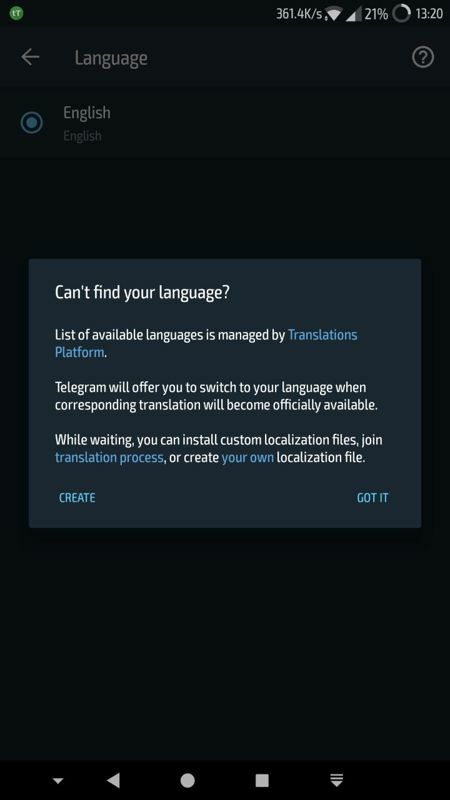 Also, the official strings are available on the Telegram Translations website and Transifex. To import an XML localization file, you have to download it as an attachment from a Telegram message. If you have downloaded it from the web, then you can add the file to your Saved Messages and then tap on it to apply it. To create your own localizations, head into Settings - Language, tap on the icon with a question mark in the action bar and choose 'CREATE'. 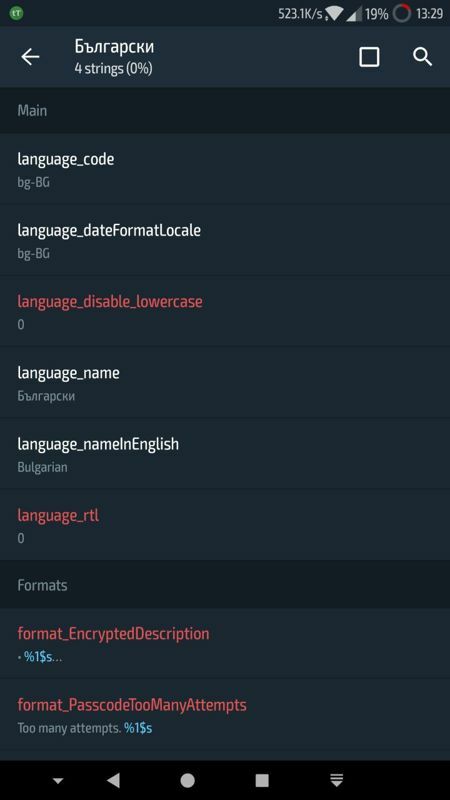 Type your locale code to create a localization file for the language you want. Now it will show up in the Language page where you can translate the strings, share them as an XML, or delete the file.